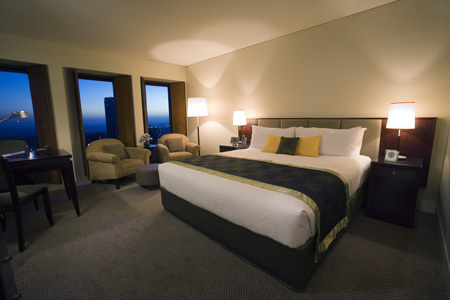 Club Sofitel provides you with a hotel within a hotel, offering guests the chance to escape to a private 35th floor lounge before retreating to exclusive accommodation located at the very heights of Melbourne. 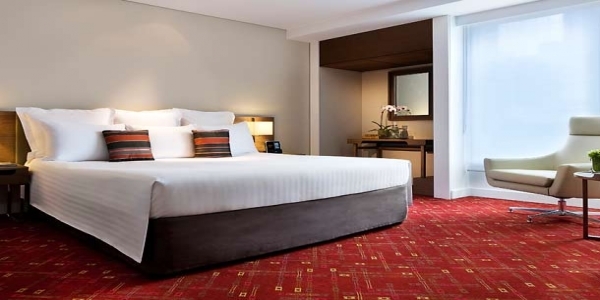 Sofitel Melbourne on Collins is at the Paris end of Collins Street, in the heart of the city’s premier shopping, dining and theatre district, just minutes from the famous Cricket Ground. 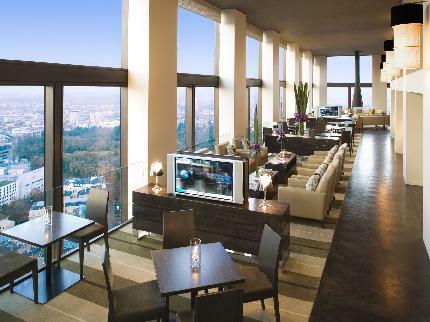 This award-winning hotel has 363 luxurious rooms, featuring floor-to-ceiling windows with breathtaking views. 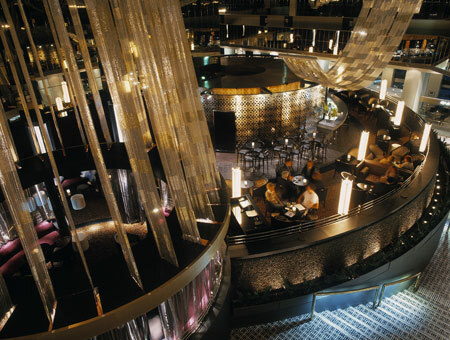 Guests can enjoy both fine dining in Cafe La and the relaxed atmosphere of Sofi’s Piano Bar or The Atrium. 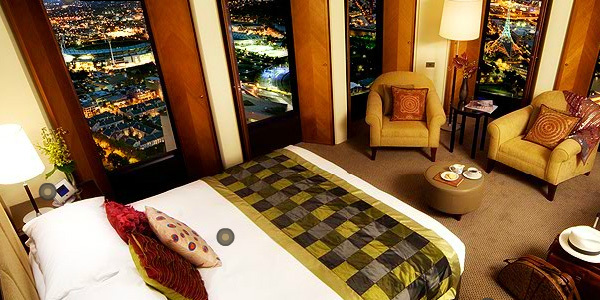 Conference facilities able to accommodate up to 1,200 people with all the latest AV equipment. 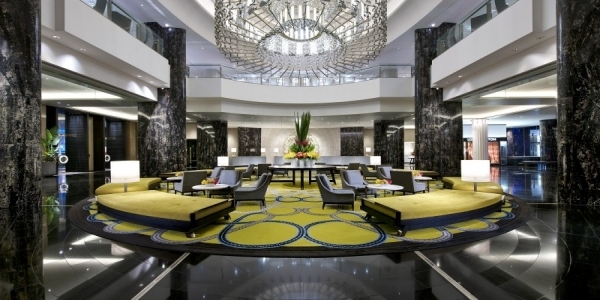 Melbourne is one of Australia’s most popular locations for business events offering some of the world’s leading facilities for meeting planners to take advantage of. 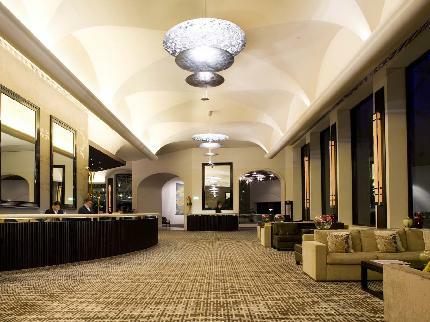 In this city of thriving events Sofitel Melbourne is a true leader, providing one of the greatest integrated hotel conference venues in Victoria that has often been lauded for its excellent food, service, staff and innovative solutions to the most complex event. 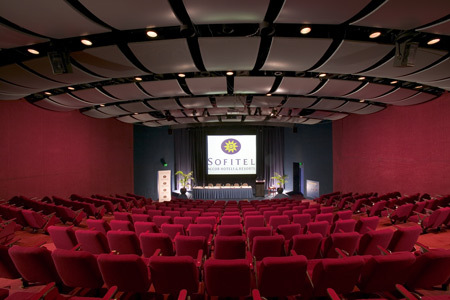 Sofitel Melbourne offers a range of conference and event venues, from the Grand Ballroom seating up to 838 banquet or 1000 theatre-style, to the Auditorium with tiered seating for 379. 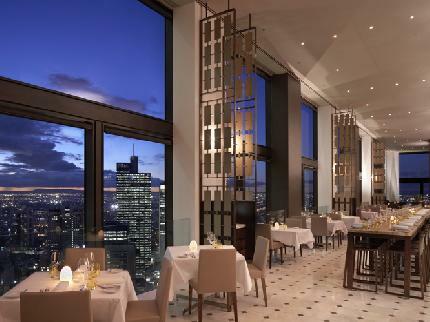 Striking in its height and elevation, the ‘sky light to black out’ feature ceiling in the newly refurbished ‘La Trobe Ballroom’ is as technically impressive as it is spectacular, whilst the Tower Suites on level 35 provide sweeping views of the city and bay, ideal for smaller events. 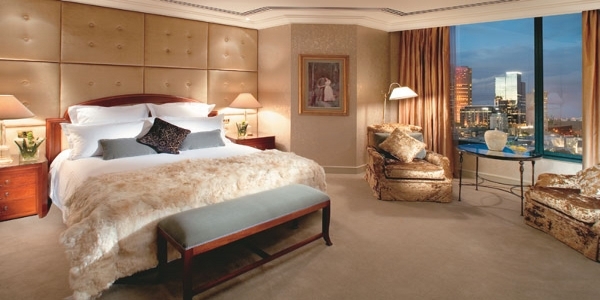 All rooms and suites are above the 35th floor, featuring breathtaking floor-to-ceiling views, contemporary furnishings, marble bathrooms, Sofitel’s exclusive MyBed and state-of-the-art technology (LCD or Plasma TV, surround sound, CD/DVD players). 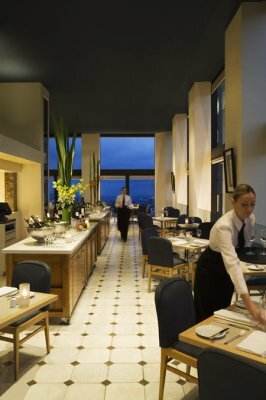 The restaurant serves modern cuisine using fresh local ingredients emphasizing pure flavour matched with relaxed uncomplicated service. Complementing No35’s food philosophy, the wines have been selected to be true to their origin, reflecting their regional integrity. 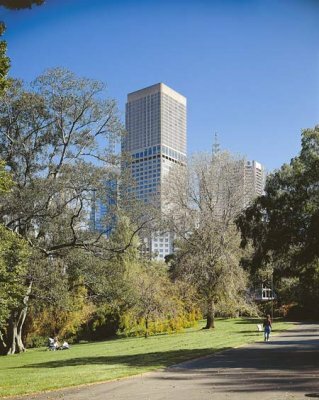 An ambient haven for social connoisseurs of cocktails and culture to sit, sip and snack before taking in the night time attractions of Melbourne. 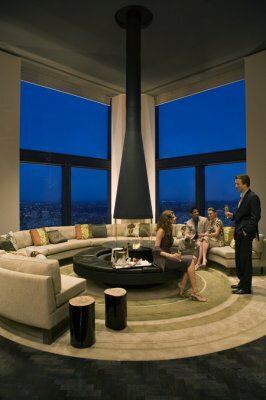 Guests can sample different beers, wines or champagnes with a ‘Wine Flight’ that allows them to try three of the best. 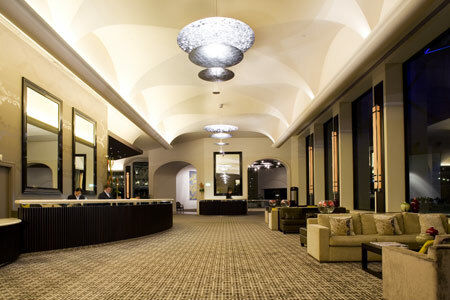 Located on the first floor lobby level, Sofi’s provides an atmosphere of understated elegance complemented by natural light and changing exhibitions of artwork. 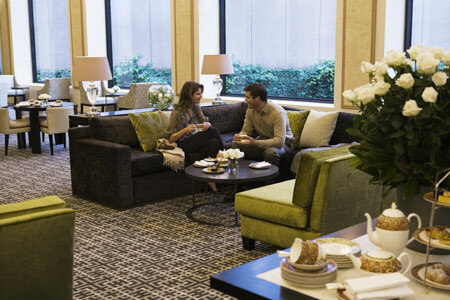 During the week Sofi’s Lounge allows you to draw pause for the finest afternoon teas from 2:30pm Monday to Friday. 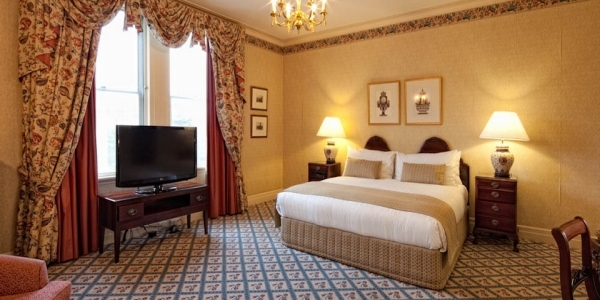 For $45 per person served on individual tiered stands, enjoy delicate finger sandwiches, cakes, freshly baked scones with home made jam and whipped cream accompanied with a glass of sparkling wine and tea or coffee.